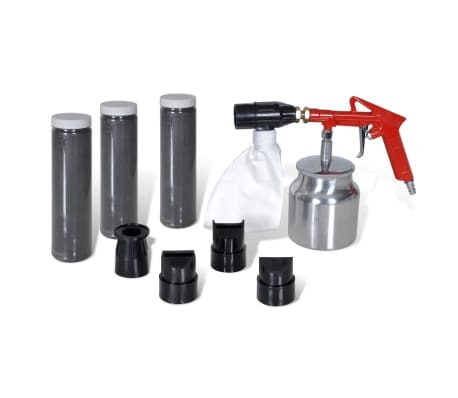 This high-quality sand blasting kit comes complete with 3 bottles of the aluminum oxide powder and 4 nozzles. 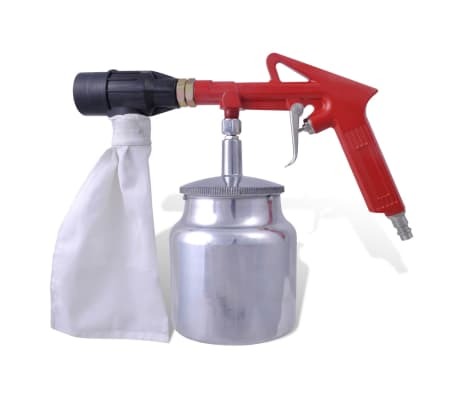 This kit is ideal for professional users to remove rust, paint, dirt and debris from a wide range of materials. 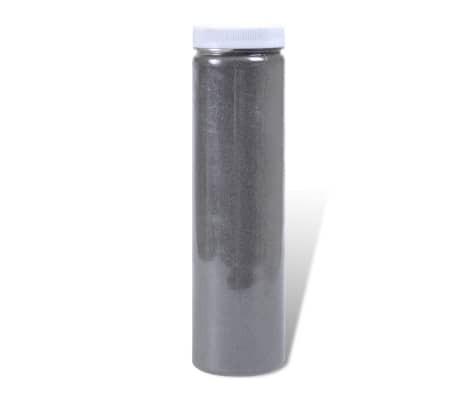 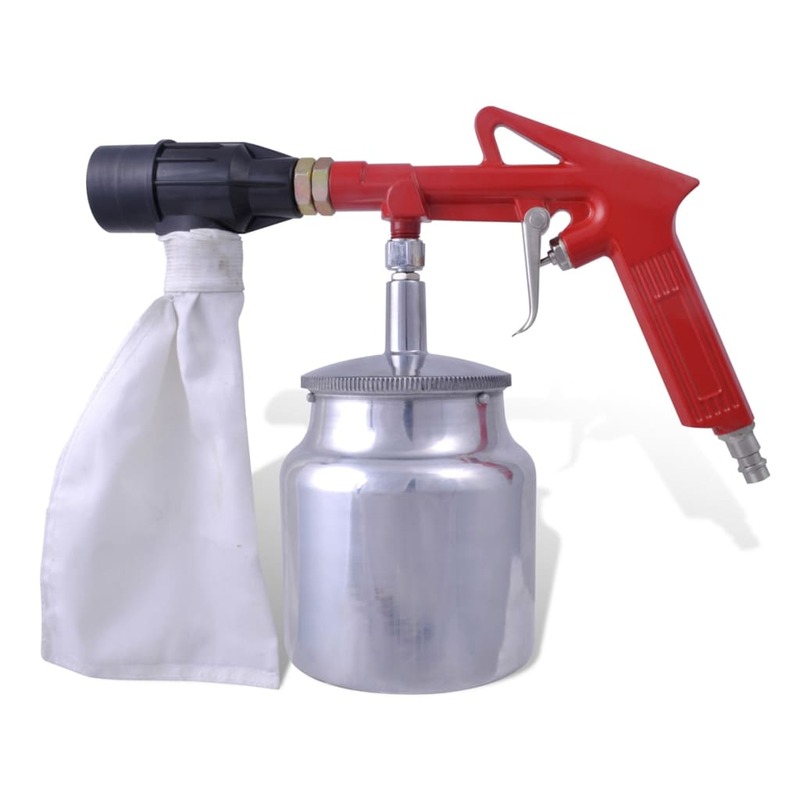 The spray gun is equipped with a grit bag and a sand tank attached under the spray gun, which has a volume of 29 oz. 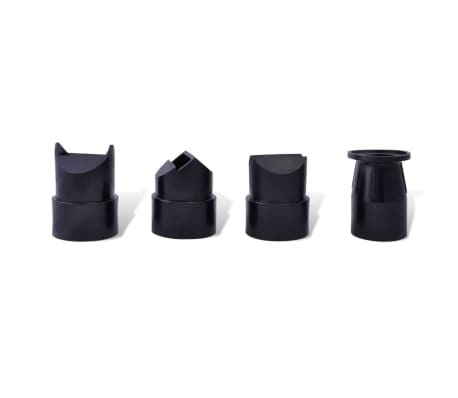 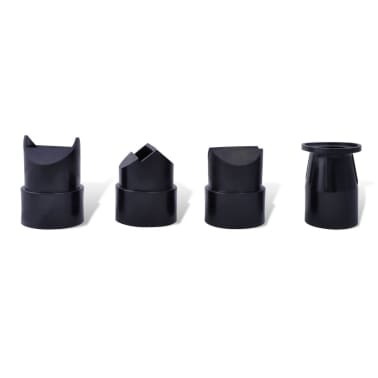 Thanks to the 4 different-sized nozzles, you could choose whichever to meet your requirement. 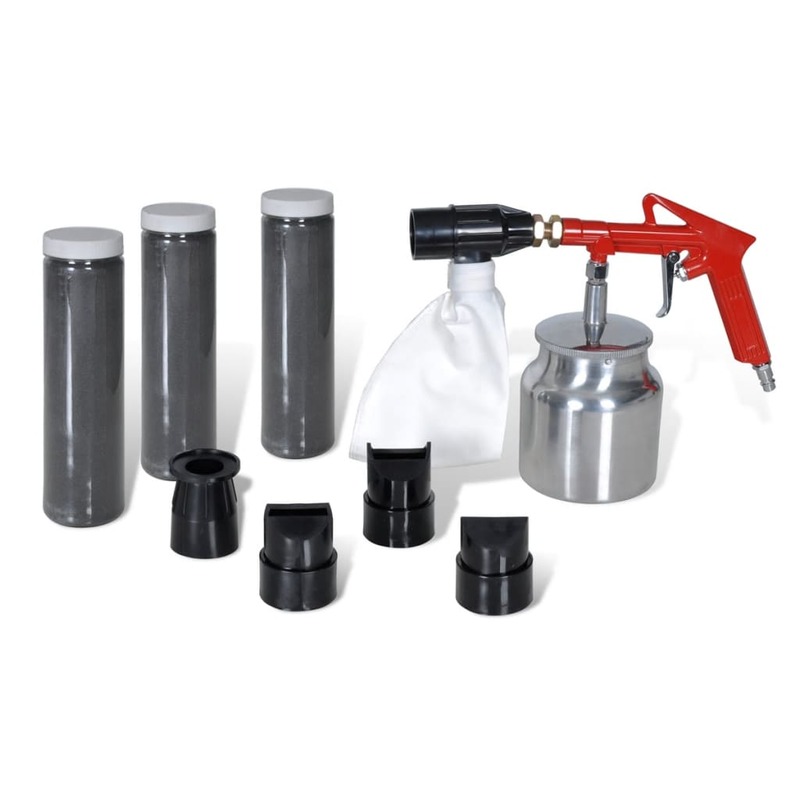 Our sand blasting kit is definitely a great choice to help you with those laborious rust-cleaning matters.